I usually have answers to problems. Through dealing with my own personal sufferings, I learned techniques to solve personal problems. Apparently because of the effect of my father’s jewelry business that experienced hard times, I also learned to solve business problems. My mind goes to problem solving mode when I hear of a problem. The first step in solving a problem is to define the problem. One problem in today’s society is many singles stay single and don’t get married. Some may say that it is not a problem – but according to Torah Jews and gentiles have a Mitzvah to have children. Also – for the ultimate good of society – it is a necessary good for people to help populate the world. If people did not have children, after one generation, theoretically the population would go to zero. No more new generations – One of the problems of homosexuality and complete celibacy. Nowadays, even among religious Jews – many find themselves single. It baffles me what the basic cause of the problem. The cause of the large single population eludes me. Once the cause of the problem is found it is easier to find the solution. Below are questions for person in the non-married state may ask to help them tie the knot with a worthwhile mate. Apparently being single is a source of suffering among many singles. Apparently, people want to settle down and found a family. I remember once my cousin mentioned that she went on many dates. Before I started dating seriously – with the intention of getting married – I thought that was a good thing. But then when I was in the dating scene I found that being in a state of doubt is a source of suffering. So here are some of my thoughts for singles – based upon experience, logic and Torah. What questions should you ask yourself? These are the qualities that I find to be most important. Torah Values – someone that has a mentality that wants to bring up a family with Torah values. One that will put their children in a Torah day school. Good heart – one that is giving and not stingy. Good family – the apple falls not far from the tree. Attractive – but not attracting. She or he should be attractive to the the other party. The person should not be repulsive in the eyes of the other. Why is 1 number one.Torah values of the mates is extremely important – because it sets up a common mentality between the couple. Also it is the best way to have respectful children, that will value being kind and also give you grandchildren. Jews marry Jews because it is a Torah law to have children that are Jewish that will uphold the values of the Torah and not serve idols or other gods. Gentiles marry gentiles to commonly uphold the Torah’s seven noahide laws for all humanity with the family. Sorting out the priorities – what is primary and secondary? I heard many different requirements for a mate – a good singer, fun to be with, one who likes to go out. Apparently – many of the things singles demand are secondary. What good is finding a mate that loves to do outdoor activities but is a tyrant, or is controlling or doesn’t want to have children. If you want to know what G-d wants – he wants you to raise a family that will follow the laws of the Torah. Simple. When one follows what G-d wants – one gains because it also turns out the best for the person and the family. Children enrolled in Torah day schools will likely be more respectful to parents and will likely get married and give you grandchildren and help the continuity of Jewish nation – for they will likely marry Jewish. A person I know was turned off by marriage because out of 15 of his friends that married a great majority got divorced. That’s one fear. I have another friend whose parents don’t get along. Is that the source of his fear? Another is the fear of the partner’s spending habits. Some don’t want their partner to spend their money away. OK. That’s your fear? Is it worth it to stay alone the rest of your life for any of the above? to me, no. So deal with your fear – get out of your preconceived notions – pray to Hash-m that you will find a mate that will not realize your fears. Also put stack the cards towards your advantage – look for someone that is reasonable, stable, non-temperamental and not controlling. I asked someone – when they date is it usually you or the partner that breaks the relationship? If you see yourself rejecting many people – perhaps you have to re-frame your priorities. If others are rejecting you – perhaps you need to improve your look or your attitude. Some people are overly critical. Some Always think they are right. Some Lack self-esteem. Listen and look at yourself from an outside perspective. Try to determine what is turning people off and change for the better. Are you making your effort? Some people wait for Mr. or Mrs. Right to knock on their door. A person is expected to make a concerted effort to get married – like they would for finding a job. Every day – at least 10 minutes should be dedicated to finding a mate. Call the matchmakers. G-d wants you to improve. G-d will match you to a mate that is on your level. If a person is hanging out at cheap bars – G-d will allow them to meet a potential mate that hangs out in bars. If a person is careful about Torah and Mitzvot – like being Shomer Shabbat / a Shabbat observer – G-d will allow them to meet a potential mate that is also shomer shabbat. A mate that is Shomer Shabbat is one of the basic things for a Jewish person to look for. Why? 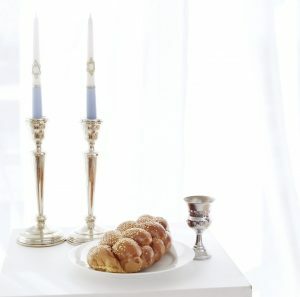 Simple – being Shomer Shabbat keeps the family together for 2 or three meals on Friday night to Saturday night. The family interacts and has a family life. As opposed to each one involved with their own little activities – like sports, shopping and the like. Those activities can be done on Sunday. Shabbat is family day. Are you praying to Hash-m? Part of the effort is to pray to Hash-m to achieve one’s goals. at times G-d puts a person in a difficult situation to get them to appeal to Him. He want’s a relationship with you like a parent wants a relationship with their child. Are you in lala land? People think that there is nothing wrong with watching movies or reading the romance novels. The problem is is that these media tend to show people a fantasy life. Thus they unconsciously hope to find the person that will sweep them off their feet. Dream on. Obviously, you want someone that you are compatible with – but if he or she is not a model or a smooth talker – don’t reject them because of that. Are you and your partner marriage minded? Some people have no interest in getting married. At times one partner wants marriage – and the other partner is in it for the good times. Make sure your partner is not wasting your time. But He / She is my friend! A person’s spouse is supposed to be their best friend. At times people reject a good match because “I can’t marry them- they are my friend!” It’s good to marry a friend. For the ideal ate should be your best friend. Where is your mate’s mind? If your date is constantly talking about shopping – that’s where their mind is. If they speak about sports – that’s where their mind it. There is a difference between having a casual interest and being totally engrossed with anything – including sports, being thrifty, shopping. If you have to – write the answers to the questions above. Write down your priorities and show them to someone who can give you honest Daat Torah / the opinion of the Torah. I have a friend – a very good person – his mind is focused on converting others to becoming a vegetarian. I have another friend – he does much kindness with his friend – to the point that he neglected his personal life. There is nothing wrong with that – provided they are doing so with the right intentions – and with the guidance of the Torah. But if these things remove a person from the goal of getting married – they are tricking themselves. A person is responsible for himself to follow the Torah laws before other kindnesses he can do for others. Get married. Have a family and enjoy life already! I ran a series of lectures on getting married. Included here is some of the advice from the lectures. This entry was posted in Children, Marriage by admin. Bookmark the permalink.